A few months back, I came to visit a friend of mine after a long time. I knew his address, and had successfully made it to the right neighbourhood without any help. However, I was having a difficulty identifying the exact building. So I finally called up my friend and asked whether it was the one colored yellow. It was at that point when I realized that I had asked him the wrong question; because my friend is color blind. Color blindness is a relatively common phenomenon found in people from all over the world. It is the decreased ability of individuals to see certain colors, or distinguish between two different colors. It arises due to the lack of development of one or more of the three sets of color receptors in the eye. And people who have this condition, have trouble identifying and distinguishing between certain colors. Color blindness often causes simple everyday tasks to become more challenging for the affected. Buying fruit, selecting clothing, reading traffic lights, etc., may be challenging. Though affected people usually adapt to these challenges over time, they never quite get to see the world as they are supposed to see, and appreciate the beauty of nature as it is. 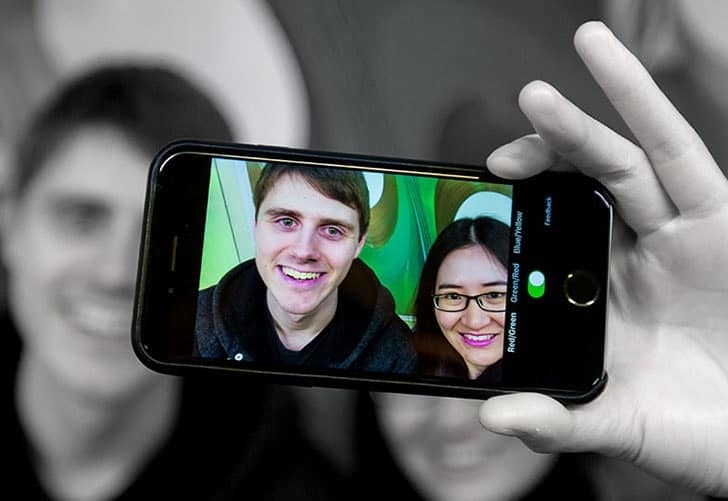 Microsoft’s Research and Development wing, Microsoft Garage has come up with an innovative app that helps color blind individuals to distinguish colors in their daily lives. 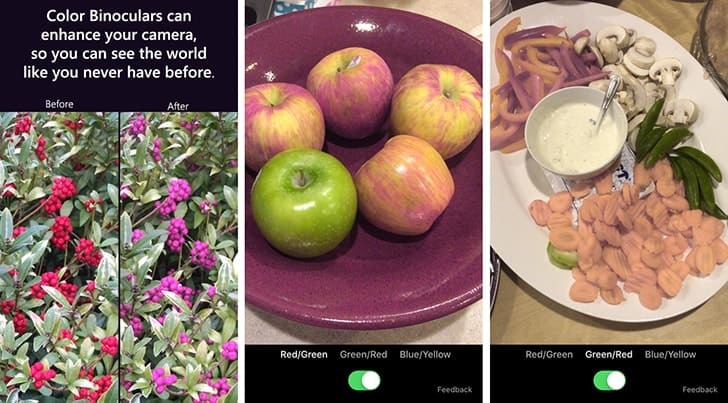 The app, called Color Binoculars, uses the iPhone camera to produce color adjusted images, so as to replace difficult color combinations with more easily distinguishable ones. Color Binoculars supports all three forms of color blindness, which is usually found in humans. After you have specified the type of color blindness, all you have to do is to point the camera to an object whose color you’re trying to identify. Using advanced imaging techniques, Color Binoculars will display a color-adjusted version of the image that helps you see it closer to its original color. It’s a must-have app for color blind people who wish to see colors in the way they really are. If you are color blind, maybe you should download the app and try it out yourself. Color Binoculars is available as a free download on the App Store. As for me, I’m going to recommend this app to my color blind friend right away.